Our Topic is the merging of commercial radio, podcasting and online streaming radio. We also discuss the NextRadio app that uses an FM chip that is in most smartphones today to connect to FM radio in listeners local radio markets. We also discuss whether getting podcasts content added to NextRadio is a potential future opportunity in the app. The interview was done on the exhibition floor in the Spreaker booth at the National Religious ... See More Broadcaster's Proclaim16 Convention (NRBConvention.com) Feb 26, 20016 in Nashville. Show Guest: Jeffrey H. Smulyan, Chairman, CEO, and Founder Emmis Communications Corporation, an Indianapolis–based radio and publishing company with operations in 9 U.S. markets. He widely recognized as one of the most visionary leaders in the radio industry. He is also the leading advocate of getting FM-enabled wireless devices in smartphones. He shepherded the unification of the radio industry behind the installation of the Emmis-created NextRadio application in a broad array of FM-enabled wireless devices, allowing consumers to listen to their local radio stations without data charges. Who owns and operates 19 FM and 4 AM radio stations in the nation’s largest markets and city/regional magazines, including national titles Texas Monthly and Los Angeles. Emmis owns the two top hip-hop brands in the world, KPWR Power 106 in Los Angeles and HOT 97 in New York City. - He tells us about Emmis Communications and what the company operates in those 9 US markets? - How does he sees US commercial radio stations changing formats over the next few years to appeal to millennial? - Does he think Public Radio’s formats and quality impact commercial radio? - Whether he thinks commercial talk radio will adding more on-demand / podcasting? - Should radio stations develop new talk radio talent by creating original audio podcast shows at the local level? - How will CarPlay and Android Auto impact talk radio stations and audio distribution and listening in the car? 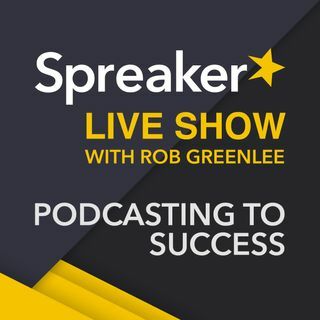 - What are his thoughts on metrics around download distribution and advertiser support of podcasts. IAB role? - He gives an update on NextRadio and the possibility of adding audio podcasts to the app? Next Radio :radio: ! Podcasting 🎙!